Home>New Songs>AlienEmoji Songs> AlienEmoji Arrive With Infectious Debut Single "Leeches"
AlienEmoji aim ray guns at the disingenuous. Like those approaching a dubious pond, Montreal trifecta AlienEmoji has reason to be wary of leeches. Such is the wave on their debut single, which finds Zydell sliding through over production from P-Yote & Saska. The conjured instrumental is mischevious to say the least, combining a coy synth line with reverberated string hits. The lush arrangement provides Zydell with ample room to flex, delivering a multifaceted performance both lyrically and vocally. "Is he fishing though, so original, got so high level should be criminal," spits Zydell, "think maybe your decision was subliminal, you a different person in the digital." Such is often the case, as the digital world has provided ample cover for those emboldened by anonymity. Yet Zydell, P-Yote, and Saska see through the smokescreen. While new-school tenets ground "Leeches" in a contemporary realm, there is a respectable adherence to the principles of "BARS." That is to say, the ad-lib to flow ratio must be balanced accordingly. In that sense, AlienEmoji deftly tow the line, providing something for all manner of listener. 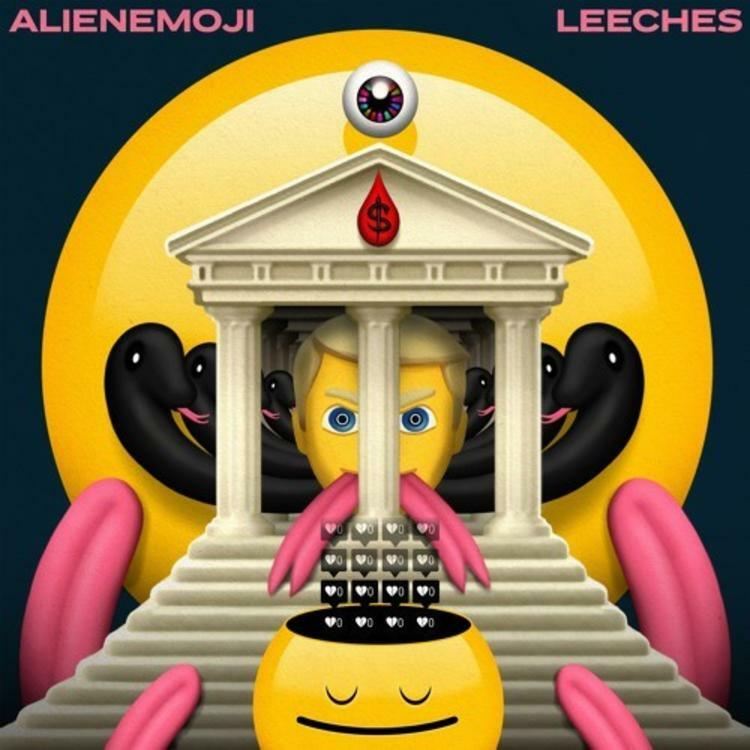 SONGS AlienEmoji Arrive With Infectious Debut Single "Leeches"